We who engage in non-violent direct action are not the creators of tension. We merely bring to the surface the hidden tension that is already alive. Friends of Clayoquot Sound is a grassroots organization dedicated to preserving the ecological integrity of Clayoquot Sound, a UNESCO Biosphere Reserve and the largest extent of old-growth temperate rainforest left on Vancouver Island. Peaceful Direct Action (a.k.a. 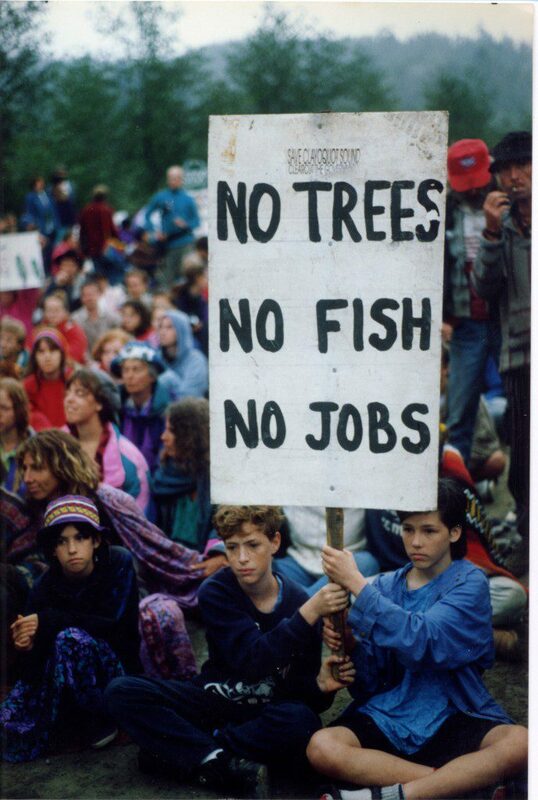 Non-Violent Direct Action) is both a philosophy and a strategy in our work to oppose ecologically unsound decisions. The Beautiful Trouble activist collective (links below) defines “direct action” as taking collective action to change our circumstances without handing our power to a middle person. To do so peacefully means to refrain from engaging in any form of violence, including verbal insults, physical assault and destruction of property. Peaceful direct action draws its power from keeping to the moral high ground (being dignified and respectful) and its ability to shine a spotlight on a problem. Peaceful Direct Action encompasses a wide spectrum, from letter-writing campaigns to civil disobedience – risking arrest by deliberately breaking unjust laws. The latter is a last resort when other options have been exhausted. Our attitude is one of openness, friendliness and respect toward all beings we encounter. We will use no violence, verbal or physical, toward any being. We will not damage any property and will discourage others from doing so. We will strive for an atmosphere of calm and dignity. We will not bring or use alcohol or drugs. » Why Peaceful Direct Action? 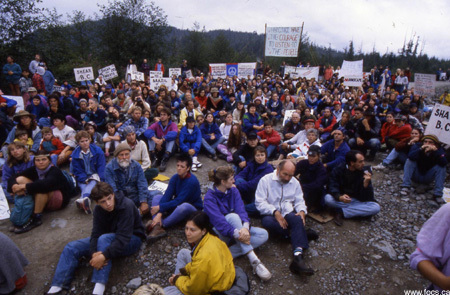 The University of Victoria’s Environmental Law Centre has its on-line Civil Disobedience Handbook on this page.